Viking films were big in the 50's and 60's and Erik the Conqueror is Mario Bava's take on the subgenre. The film looks great, but doesn't really give us any great characters that we can relate to. 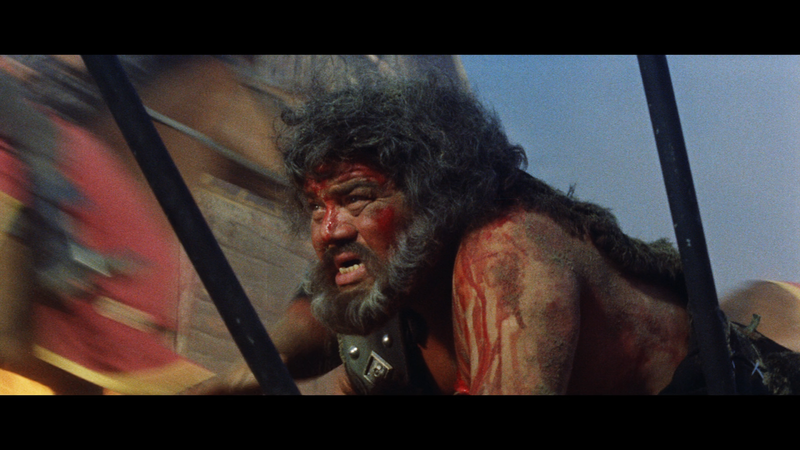 The action scenes are pretty good though, so I guess it is a toss up between a good looking film and a good film. That being said, the film is worth a watch. This interview, conducted over the phone in 1989 with Tim Lucas, is a career spanning interview that focuses mostly on Mitchell's work with Mario Bava. Mitchell seems to be having a great time talking about his Italian films and Mario Bava. A great interview. Writer Michael Mackenzie, who has done many video essays for Arrow Video and also does some writings for the booklets that Arrow includes with their blu-rays, provides another outstanding video essay, this time looking the similarities between Erik the Conqueror and the 1958 Kirk Douglas film, The Vikings. Mackenzie always provides us with tons of information and allows the viewer to make their own opinions, which is something that not a lot of filmmakers do. This is a must watch for fans of either film. 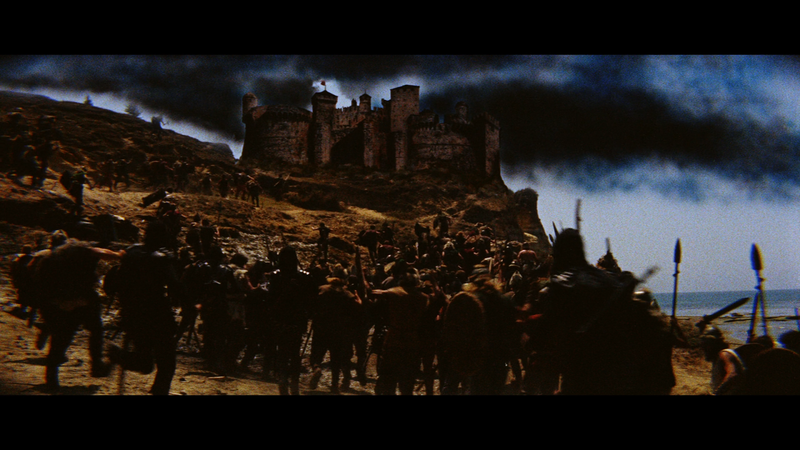 The film's final shot is no longer attached to the original negative and thus could not be found. Tim Lucas provided a copy of the final shot to Arrow Video on a U.K. VHS. 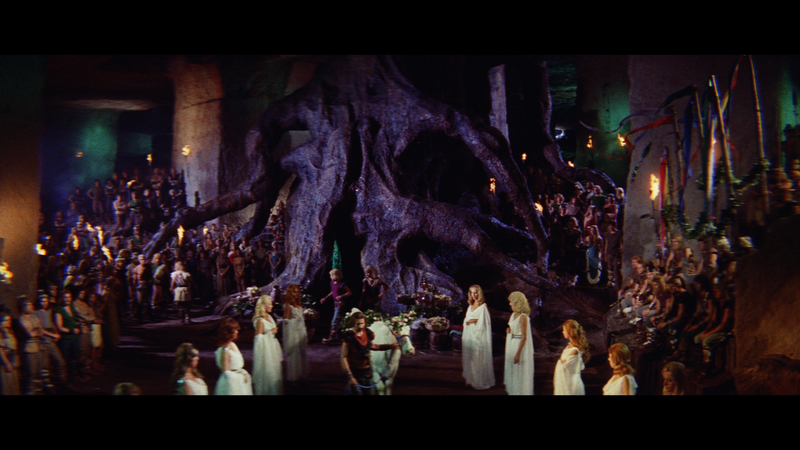 The shot is not included with the film proper because of huge difference in quality between the brand new transfer and the decades old VHS transfer. 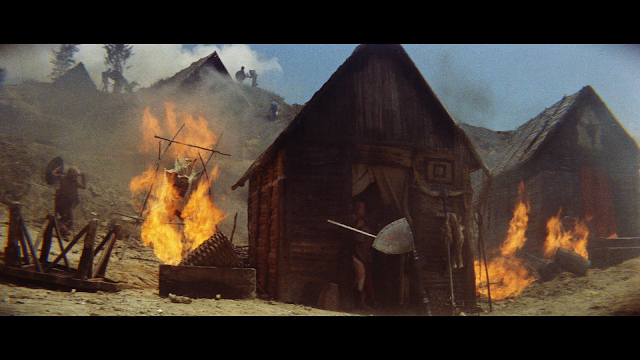 This ending isn't all that great as it is only a shot of the burning ship against the sky, but for completists, it is a must. The quality is jarring, but it is only one shot. blu-ray comes packaged in the normal Arrow Video double wide clear blu-ray case along with a dvd copy of the film and a booklet with new writing on the film by Kat Ellinger. 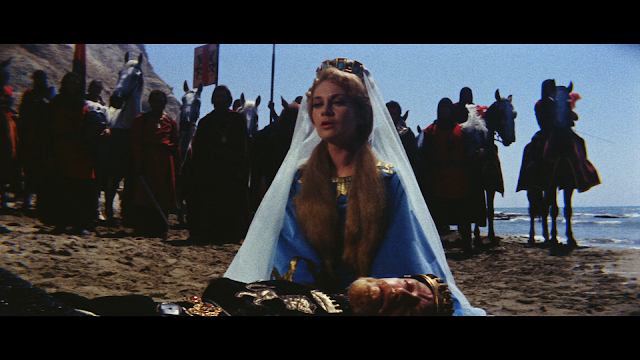 Mario Bava has always been a genius when it comes to the visuals in his films and Erik the Conqueror is no different. 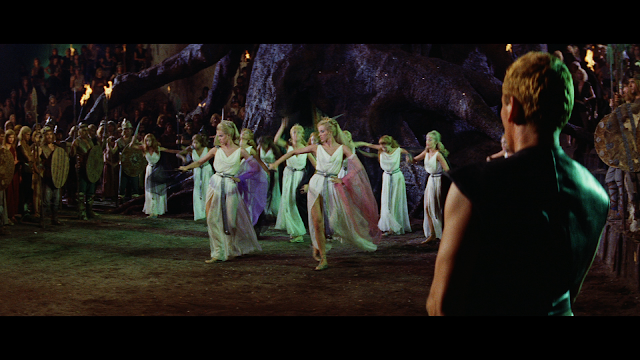 The transfer here allows are the visuals that Bava did to shine. This film looks great. Skin tones are accurate and there is a nice layer of grain throughout the film. The biggest things that shines though, are the colors. 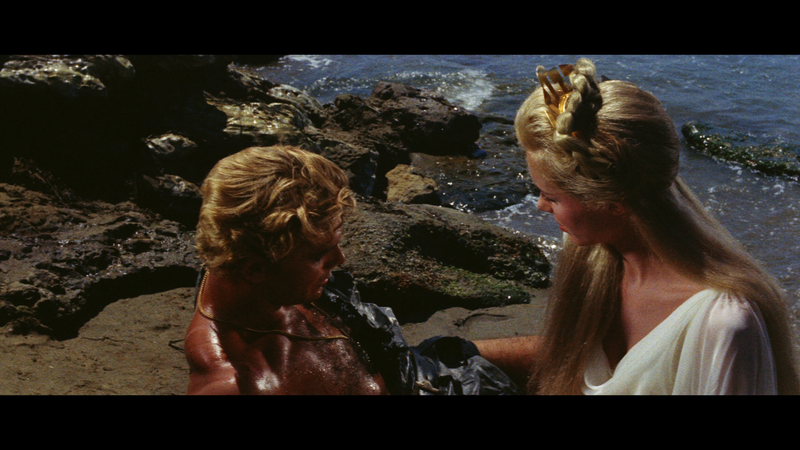 Bava paints each frame of this, and all his other films, with colors that normally wouldn't feel right, but do here, and the transfer gives them the proper attention. 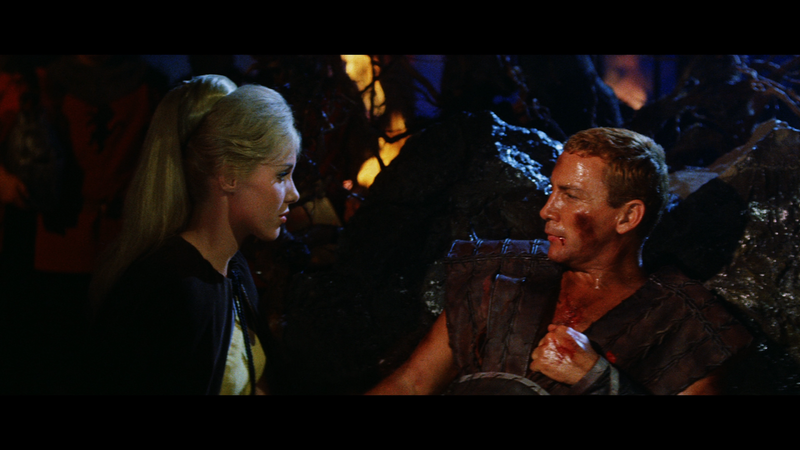 Every single color pops off the screen giving the film a lot more production value than they had when making the film. An outstanding transfer for a great looking film. Arrow has provided us with two tracks: the original Italian and dubbed English track, both presented in their original mono format. The Italian track is a more robust track. The dialogue is clean and clear and the score feels fuller. The English dubbed track is good, but not as good as the Italian track. For the most part the track sounds great, but there are instances of long letter "S" sounds from some of the voice actors. This is definitely a problem with the recording as it doesn't happen with every character. It will happen with some characters and it is really weird when two characters are talking to each other and one has the problem and the other doesn't. This does take away from the film a bit, but not too much. The score seems smaller in this track. It doesn't seem as beefy as the Italian track does. While I was watching this film I found myself watching for the visuals and not for the film itself. The film is something that could have included anything from biblical figures to cops and it wouldn't have made a difference. I couldn't care less about what was happening to the characters. I found very little enjoyment in this film at the story level. 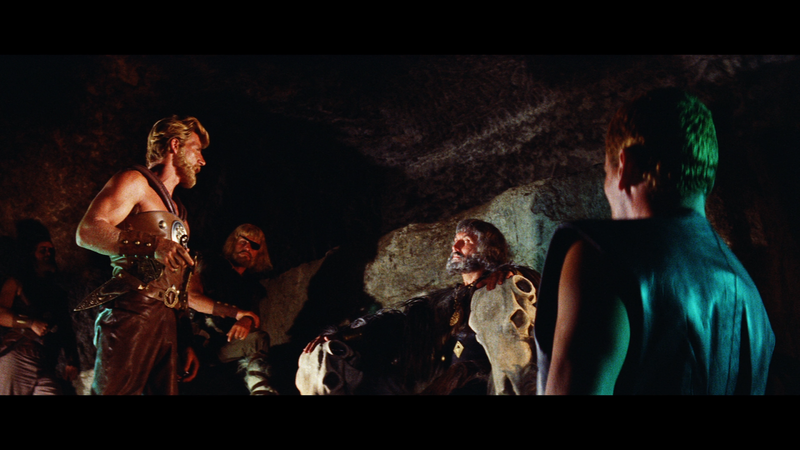 The characters are ok with Cameron Mitchell doing a great job as the head of the Vikings. 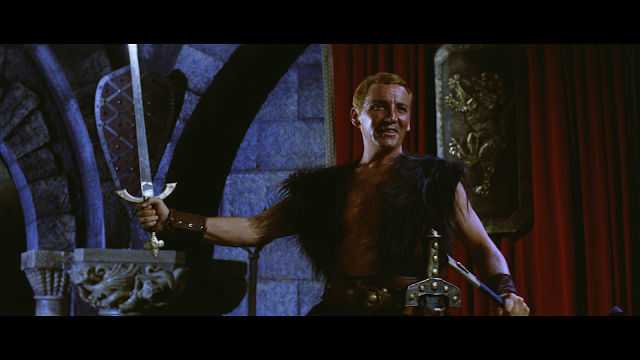 George Ardisson was good as the Duke of Helford, but everything else was kind of bleh. That is except for the visuals. Wow, is this a great looking film. 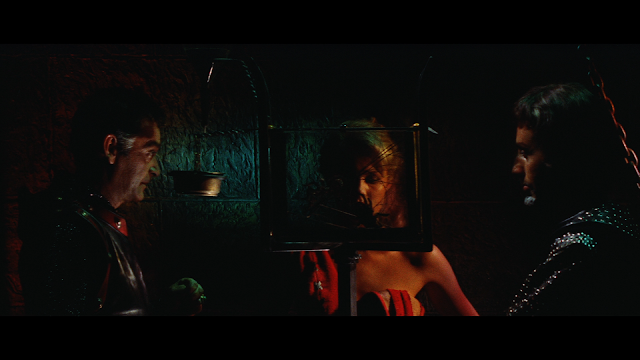 I have only seen one other Mario Bava film (Blood and Black Lace) and both films shined in their visuals. Bava adds color to scenes where color doesn't seem to go, but he makes it work. 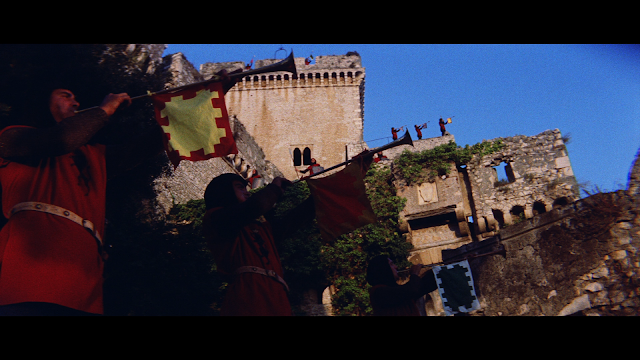 Reds, greens, and purples adorn the caves and castles and add a lot of production value to the film. 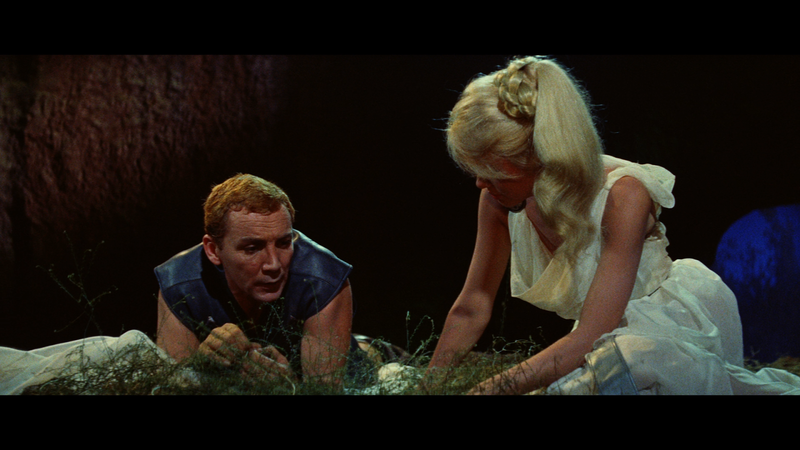 There is a scene where Mitchell's character gets married and Bava put glitter all over the place and every time light hit the glitter I thought that there was something wrong with the transfer. Once I knew what was happening, I was fine with it. The action scenes are very well shot as well. 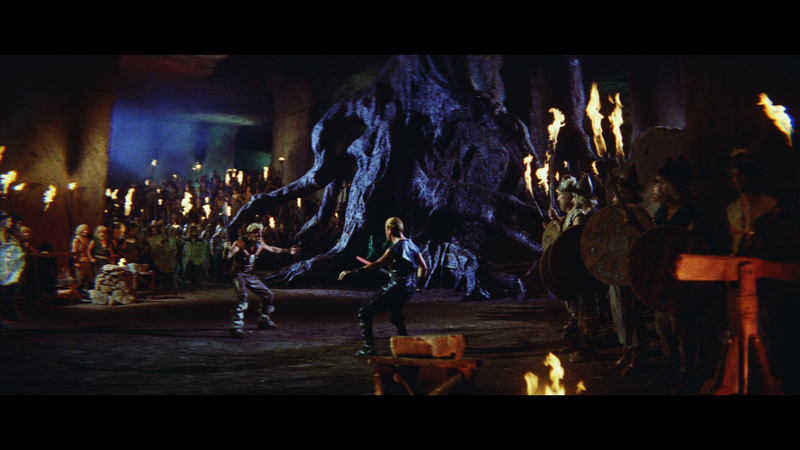 Bava makes all of the action scenes feel like they are bigger than they are and, again, adds a lot of production value to the film. 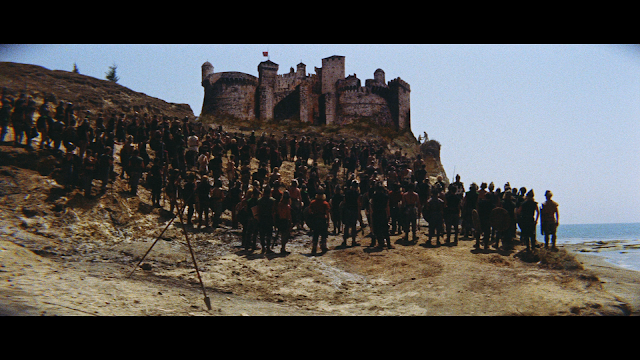 The scene with Ardisson climbing the castle wall is both gorgeous and thrilling. 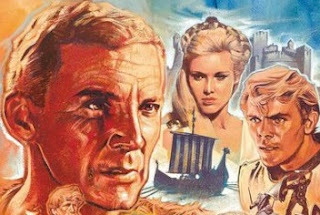 Erik the Conqueror is an ok film that is boosted by its visuals. 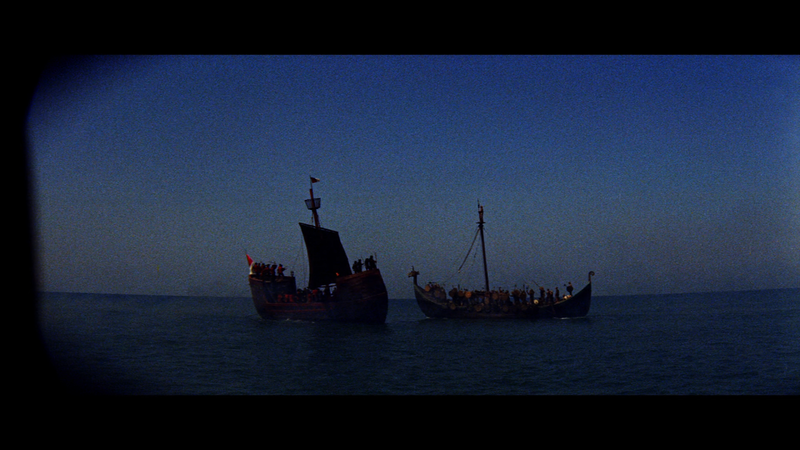 Mario Bava has taken the Viking film and made it look like every frame was a painting. There is not one shot in this film when we think "Bava could have done better". The man elevates the film and it was a pleasure looking at and admiring the film. While the film wasn't that great, I was able to appreciate the visuals and the action scenes. The acting is appropriate for this type of film, but I never really bought into any of the characters actions. I just didn't care. 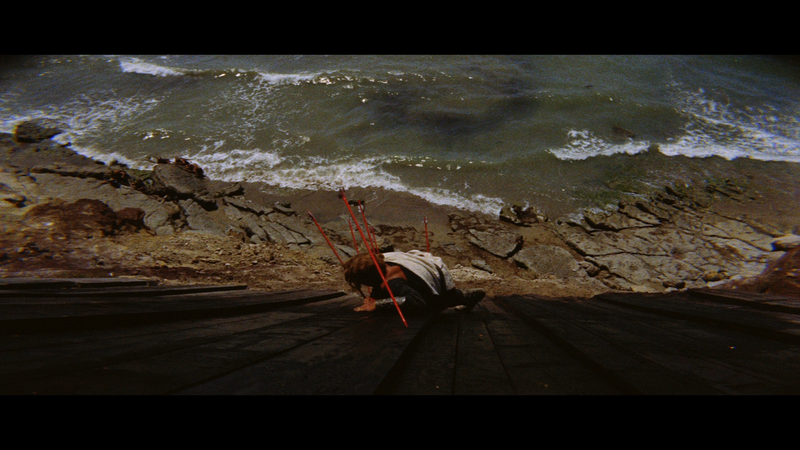 The blu-ray from Arrow Video is great. The transfer looks amazing and audio is good too. The special features may not be numerous, but what is there is worth a watch and/or listen. I wish that Arrow would send the booklets along with the screeners so that I could at least review that, but outside of that, this is a really good blu-ray. 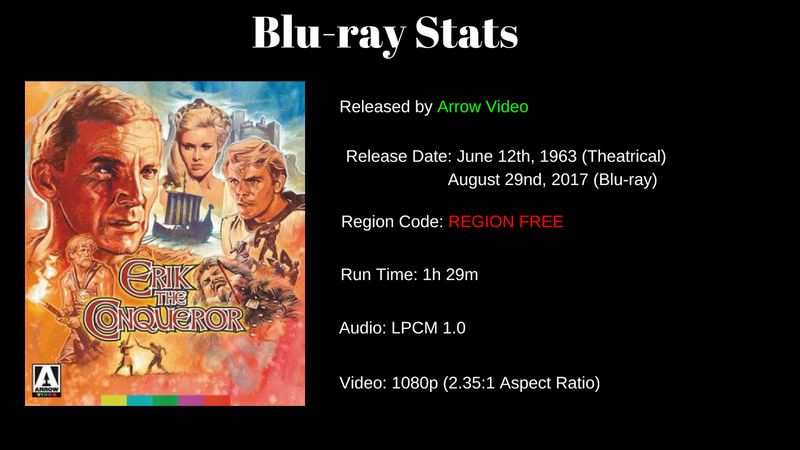 Definitely for fans of sword and sandal films and fans of Mario Bava. CHECK OUT PAGE 2 FOR MORE SCREENSHOTS. THERE MAY BE SPOILERS SO VIEW AT YOUR OWN RISK! !